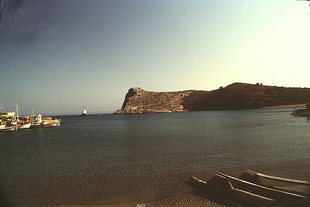 Kali Limenes is located on the south coast of Crete on the east side of the Akrotiri Lithinon. 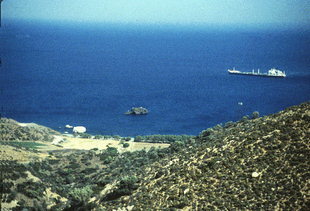 There are large white oil storage tanks on the small island of Agios Pavlos and on the west side, the larger island of Megalonissi. There are few facilities in Kali Limenes outside a few tavernas and rent rooms. 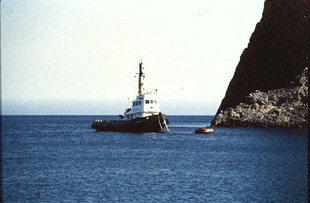 There are however Port Police and Customs. Kali Limenes is one of the 2 safest and best anchorages on the south coast of Crete, there is very good protection in west and north winds. 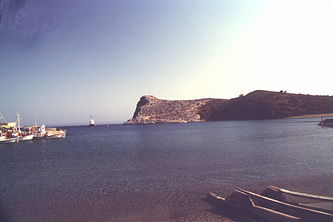 Small boats can find additional shelter from southwest and north winds on the land side of Megalonissi. 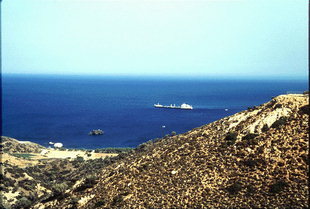 Many tankers also find shelter here.